Freshly roasted, ground and drip! It is a coffee shop attached to the guest house. Because we have a roaster machine, we are delivering our own roasted ground fresh coffee every day! You can also take out. Take advantage of Takayama city sightseeing. In addition to coffee, caffe latte and Americano. A snowy deep and cold at Takayama, relaxing moments. . .
Coffee beans are prepared with three kinds of fresh beans. As we change the type of beans according to the time, we are not getting tired and are also used by neighbors. 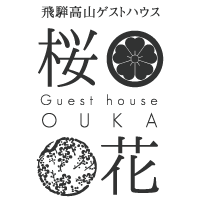 For guests staying in this guesthouse, we offer a discount ticket of 50 yen ! There's a bar counter inside of our place. Come drink and enjoy chatting!